So what’s the deal with salt? You know you need some of it, but everywhere you see advertising and headlines telling you to eat less of it. You might have salt cravings but you feel guilty indulging in them because you’ve heard from everyone, the government to personal trainers to your mother-in-law, that salt is bad for you. The way headlines sound, you’d get the impression that eating a bag of chips will raise your blood pressure enough to have a stroke right then and there! I once had an 11-year old sit next to me, watch me salt my scrambled eggs and ask me if didn’t I know that salt was bad for me! So let’s see what’s actually accurate amongst all the headlines, advertising, special interests, and advice. Like all the topics I’ve written about, it’s not that simple to say salt is “good” or bad”. One thing to keep in mind is that salt is so vital for human health that “sal” is the basis of the word “salary” because people used to be paid in salt. Sodium and chloride are both vital minerals, used for nerve transmission/impulse conduction, fluid balance, and muscle contraction. Not having enough sodium will cause hyponatremia, a life-threatening condition that happens when someone sweats out too much sodium, or drinks too much water, and upsets the fluid balance. One of the first studies that showed how diet lowered blood pressure was a Duke University clinician who, in the 1940’s, showed he could successfully treat hypertension with a low-salt, peaches-and-rice diet. If patients’ hypertension didn’t improve, Kempner said it showed, protestations notwithstanding, that the patient had clearly fallen off the diet. 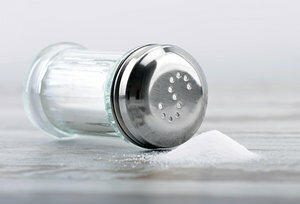 It was cited for decades as evidence that low sodium diets could treat hypertension, but there are a couple of very large problems that were conveniently overlooked — Kempner’s diet was also low in calories and fat, as well as high in potassium, and those are all factors that are also known to lower blood pressure. Here’s the first thing: there ARE some people for whom salt it problematic, but there is no test for “salt sensitivity” and even the condition itself is not fully clarified. It may be related to race (one study saw an association with African-Americans), or gender, or age, as well as a possible genetic link. However, because you cannot predict who is salt-sensitive, we’re left with creating generalized recommendations that may not actually benefit sensitive individuals, but may also harm the rest of the population. So how does lowering salt intake cause harm? Let us count the ways, starting with cardiovascular disease. While hypertension is often blamed as a cause for heart disease, low sodium has been directly linked multiple times to increased cardiovascular deaths, and another 2011 study confirmed this. In fact, this last study also saw that sodium levels didn’t predict hypertension, and that any association between blood pressure and sodium didn’t actually translate into less morbidity or better survival. Low salt diets also increase cholesterol and triglycerides in the blood. In fact, people with Type 2 diabetes are more likely to die prematurely on a low-salt diet, due to cardiovascular disease. A Harvard study showed that low-salt diets were linked to an immediate onset of insulin resistance. And yet doctors are consistently recommending salt restriction diets to diabetics. In studies with the elderly, sodium restriction can be especially damaging. It has been shown that low salt intake leads to more falls and broken hips, and decreased cognitive abilities. Hyponatremia (too low sodium) is commonly found in geriatric patients , and yet it is repeated ad nauseum that older people should be lowering their salt intake. You may not realize this, but this is not necessarily new information. There have been articles in the New York Times about the dangers of low salt intake and the research supporting it in 2010 and again in 2013. What IS true is that little to no distinction is being made between the salt in processed foods and what is found naturally in fresh foods or what you might add at the table. The main sources of sodium in the U.S. diet are grain mixtures (mainly pasta, breads and rolls), and processed meats like frankfurters, sausages and lunch meats. This would be why the famous DASH diet (Dietary Approaches to Stop Hypertension) with it’s emphasis on generous amounts of fresh fruit, vegetables and dairy is effective for lowering blood pressure — it is simply removing most sources of processed foods. It’s also considered by many to be a preferable alternative to across-the-board sodium restriction. Which is also exactly what is seen in research — studies that looked at fresh food, cooked at home, (with salt added for flavor) saw no impact on blood pressure but people who ate out frequently, and ate processed foods regularly had a much higher incidence of hypertension. If hypertension is a concern, it would be good to also boost potassium, as inadequate potassium will still cause hypertension, even if eating a low-sodium diet. Potassium is so available in foods that you can’t really get it as a supplement — and, you guessed it, it’s highest in fresh foods like leafy greens, bananas, avocados, melons, mango and prunes. Additionally, weight loss and reduction of alcohol intake are known to be extremely effective at reducing blood pressure. The current U.S. recommendations are 2,300 mg/day. The American Heart Association would prefer that everyone consume as little as 1,500 mg/day, clinging to antiquated research long since disproven. In fact, in light of the overwhelming evidence, the Department of Health and Human Services will be revising the sodium guidelines in 2015. In the meantime, bring back your common sense about food, and avoid “quick fixes” with store-bought food and eat as much fresh food and food that YOU prepared as often as you can. And hand this article to your mother-in-law the next time she makes a comment as you are salting your eggs! Taubes, Gary. “Three decades of controversy over the putative benefits of salt reduction show how the demands of good science clash with the pressures of public health policy.” Science 281 (1998): 898-907. Swales, J. D. “Dietary salt and blood pressure: the role of meta-analyses.” Journal of Hypertension. Supplement: official journal of the International Society of Hypertension 9.6 (1991): S42. Swales, John. “Population advice on salt restriction: the social issues.” American Journal of Hypertension 13.1 (2000): 2-7. Stolarz-Skrzypek, Katarzyna, et al. “Fatal and nonfatal outcomes, incidence of hypertension, and blood pressure changes in relation to urinary sodium excretion.” JAMA: the journal of the American Medical Association 305.17 (2011): 1777-1785. Mann, Samuel. “Urinary sodium excretion and cardiovascular events.” JAMA: The Journal of the American Medical Association 307.11 (2012): 1138-1139. Tikellis, Chris, et al. “Association of dietary sodium intake with atherogenesis in experimental diabetes and with cardiovascular disease in patients with Type 1 diabetes.” Clinical Science 124.10 (2013): 617-626. Geboy, Alexander G., Dawn M. Filmyer, and Richard C. Josiassen. “Motor Deficits Associated With Mild, Chronic Hyponatremia: A Factor Analytic Study.” Journal of Motor Behavior 44.4 (2012): 255-259. Ayus, Juan Carlos, et al. “Is chronic hyponatremia a novel risk factor for hip fracture in the elderly?.” Nephrology Dialysis Transplantation 27.10 (2012): 3725-3731. McCarron DA, Geerling JC, Kazaks AG, et al. Can dietary sodium intake be modified by public policy? Clin J Am Soc Nephrol. 2009;4:1878–1882. DeSimone, John A., et al. “Sodium in the food supply: challenges and opportunities.” Nutrition reviews 71.1 (2013): 52-59. I know most of us think that we only have to worry about our immune system during the winter months but a healthy immune system throughout the rest of the year is actually important in helping us ward off infections during the winter months. In fact, we should be boosting our immune system all year round. So, how can we do it in a natural way? A strong healthy diet foundation is essential for immune support. 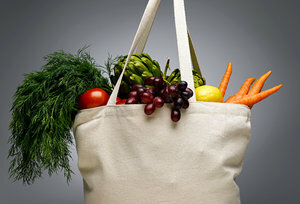 Many of my patients in my clinic of integrative medicine in San Jose CA think that as long as they have one vegetable or fruit a day, they are fine. But I highly recommend patients to eat vegetables at every meal and they should be eating a variety of colors of vegetables. In doing so, patients can ensure that they are getting all the vitamins and minerals they need for a healthy immune system. When it comes down to it, our immune cells need both vitamins and minerals and if you don’t want to have to figure out all the minutiae of which to take, you should just get into the easy habit of eating a rainbow colored diet of vegetables, beans, nuts, healthy fats, and whole grain starches. If you eat a balanced diet at every meal, you’ll ensure that your immune soldiers are well fed hence able to help you combat colds. Another factor that is important for immune function is sleep. Sleep is when our body heals and repairs. Oftentimes, when people are lacking sleep or under a lot of stress, that is usually the time when you would catch a cold. So, make sure to put aside time for sleep and relaxation. In doing so, again, your immune function will be better equipped to help you ward off infections. Finally, exercise is important in keeping your body efficient in protecting itself from outside sources of harm…like infections. Mild to moderate exercise about 3-5 days per week should help keep your body’s immune system healthy. Extreme exercise can suppress immune function so if you are someone who likes to do extreme marathon training or sports activities, make sure to allow your body to heal and rest in between your training sessions so that you do not over-tax your immune system. If unfortunately despite good healthy efforts at supporting your immune system, you are still unable to ward off a cold, you can try supplements such as black elderberry, vitamin C, vitamin D3, Echinacea, and Zinc, just to name a few options. I highly recommend taking these only if cleared by your doctor to make sure you are not on medications or do not have any medical issues that may prevent you from safely taking these. You should also see your doctor before starting these to evaluate the seriousness of your infection and to see if you need medications like antibiotics for it. Finally, there is one last thing to do that will help you to avoid infections…make sure you wash your hands frequently and wipe down public areas where germs are easily spread before you touch it. Prevention is always key to the healthiest you we can achieve. While resting between exercises at the gym recently, a young lifter asked me for a spot on a set of barbell bench presses. 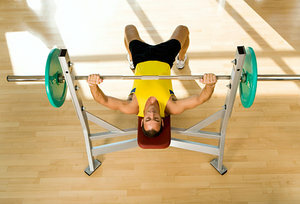 The bar was loaded with a moderately heavy amount of weight that at first glance appeared to be too heavy for his frame. He began his set and immediately began bouncing the bar off his chest. As he progressed in reps and began struggling with the weight, he arched his back, thrusting his pelvis up and pushing his head into the bench. I just had to shake my head as he got up looking immensely satisfied with his set. I get this question from my athletes often: When it comes to weightlifting, are “cheat” repetitions worth it? You’re probably not surprised to know my short answer is “no.” The long answer, however, is that not all cheating is created equal. Some of the world’s best physiques, such as bodybuilder Ronnie Coleman’s, were built utilizing momentum to help lift progressively heavier weights. On the other hand, bodybuilder Dorian Yates is religious about using perfect form on just about every exercise he does. Who’s right? First let’s differentiate between the two types of cheating when it comes to lifting weights. The more allowable of the two is the extended-set cheat, in which reps are performed with as perfect form as possible before using momentum or additional muscle groups to push past the point of failure for one or two reps. If you’ve been training hard consistently for years and your progress has stalled, this is the type of cheating that can help push past a plateau. For everyone else, however, it’s not necessary. Beginning and even moderately experienced weightlifters will build muscle without going to failure. They should be focused on perfecting form, not looking for ways to undermine it. The other variety is the heavy cheat, in which a “looser” form is used through the entire set to lift heavier weight than normally possible. This is the type of cheating that should be discouraged for all lifters, no matter what their experience level or which exercises they’re doing. The benefit gained is minimal compared to potential risk of injury. The second consideration is injury history, as most cheating involves movements that are risky for joints, muscles and ligaments. For example, if you have a history of back / pelvis injuries, it’s not wise to be bouncing the bar off the pins while deadlifting. Even a slight slip in form can result in a serious injury if you’re working with compromised joint and ligament function. The 6-8 months of lost time and lost progress spent recovering from an injury isn’t worth the minimal extra muscle fiber activation. The final consideration is the type of lift being performed, as certain exercises lend themselves to cheating reps better than others. Lateral deltoid raises: Performing strict reps to failure and then swinging the weights slightly will hit your deltoids hard with little chance of injury. Dumbbell curls: Using some knee-bend and body English can extend the set past failure relatively safely. Triceps pushdowns: Use the lats and pecs to push past failure one or two reps. Seated leg press: Put your hands on your legs to get a few extra reps.
Dumbbell / cable rows: Utilizing proper form until failure and then using momentum to keep going can be done with minimal injury risk. Lat pulldowns: It’s difficult to injure yourself performing these, so cheating at the end of a set isn’t usually a problem. It’s a shame that cheating is so overused, as there are better techniques for getting the maximum benefit out of a set. Drop sets, for example, are a great option for lifters looking for significant gains in mass. Drop sets are done by performing a lift to failure or just short of failure, then dropping the weight or resistance by about 15 percent and continuing repetitions. Once failure is reached again, an additional 15 percent of resistance is dropped, and so on. The idea behind forced sets, in which a spotter assists progressively more as your muscles fatigue, is similar. If you’re going to utilize extended-set cheaters, don’t go overboard. Use strict form on the majority of sets and avoid cheating on any more than one or two sets per muscle group. Most weightlifters can make significant, consistent gains by using textbook form 100 percent of the time. As discussed above, there are some situations in which some extra “oomph” is needed to push through a plateau, but these are the exception, not the rule. Cheat reps can be used with caution to add intensity on occasion if done at the end of sets and during the right exercises. Personal-injury history should also be considered. But as a general rule, listen to what your mother always said: cheaters never prosper. A remarkable study published in the journal Brain, Behavior and Immunity showed that overweight, sedentary adults who were given a daily omega-3 fat supplement realized a lengthening of their DNA telomeres and reduced blood markers of inflammation and free-radical damage compared to subjects given placebo. What are telomeres? 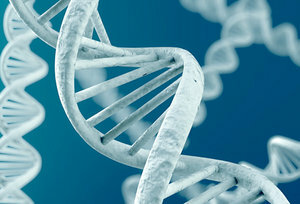 They are short fragments of DNA that act as caps at the end of the DNA in each of our cells, and can be likened to the protective plastic tips at the end of a shoelace. Every time a cell divides, the telomere shortens slightly. Once the telomere reaches a critical level of shortening, the cell is much more prone to be converted into a cancer cell or stop functioning altogether; and has been associated with increased risk of other degenerative diseases. Thus, re-lengthening of telomeres is an important finding linked to prevention of cancer, reversal of the aging process and possibly prevention of various degenerative diseases. In this study researchers examined immune cells in human subjects, witnessing a re-lengthening of immune cell telomeres. This is truly remarkable. The study also showed that overweight, sedentary individuals who took the omega-3 fatty acid supplement had reduced blood markers of inflammation, namely inteukin-6 (IL-6), which was 10-12-percent lower than the placebo group. The omega-3 fat group also showed 15 percent less oxidative stress compared to the placebo group, as measured by the presence in the blood of F2 isoprostanes (a blood marker for free-radical damage). Of particular interest is the fact that the placebo supplement was comprised of a mix of oils representing a typical American’s daily fat intake. The group given the placebo fats exhibited a rise in inflammatory markers (IL-6) of 36 percent during the study period, illustrating the inflammation-promoting effect of the standard North American diet. The study included 106 adults, average age of 51 years, who were either overweight or obese and lived sedentary lives. The study population was disease-free and reported very little stress. The researchers excluded people who were taking medications to control mood, cholesterol and blood pressure, as well as vegetarians, patients with diabetes, smokers, those routinely taking fish oil, people who got more than two hours of vigorous exercise each week, and those whose body-mass index was either below 22.5 or above 40. In general, the findings of the study suggest that simply taking a supplement containing sufficient omega-3 fats (1,250-2,500 mg) each day may significantly reduce inflammation and oxidative stress, and re-lengthen telomeres. This combination of effects has been shown to have important implications in the prevention of cancer, heart and cardiovascular disease, type 2 diabetes, and Alzheimer’s disease, and may improve the management of a variety of inflammatory disorders (e.g., arthritis), and slow the aging process in general. This research adds to the evidence that omega-3 fatty acids provide multiple health benefits, whereas many of the fats found in the standard North American diet promote negative health effects. Talk to your doctor of chiropractic for additional information. Deciding to have a baby is one of the most important decisions a woman will ever make. But how many women are really prepared for a healthy pregnancy? Lifestyle choices that expose them to chemicals, stress and poor nutrition may negatively effect their ability to become pregnant and/or prenatal outcomes. Here are some of the key considerations to discuss with your health care provider before deciding to become pregnant. More than 100 million women worldwide take the pill – including some for non-contraceptive reasons; for instance, to regulate their period or decrease the severity of the symptoms of premenstrual syndrome. Regardless of why they’re taking it, many women are under the impression that as soon as they’re ready to get pregnant, they only have to quit taking the pill and within a month or two they’ll conceive. While this may be the case for some, it is not the case for others. Many doctors recommend waiting at least 2-3 months after stopping the pill before even attempting to get pregnant. The typical reason given is to allow the body to return to its normal hormonal rhythms, though there really is no research regarding what possible effects the extra hormones may have on a developing fetus. You should also know that it may take time to conceive once they stop taking the pill; in roughly 10 percent of cases, a woman may not be able to conceive even a year after they stop taking the pill. With more than half of all pregnancies unplanned, it has been estimated that more than a million babies have been exposed to drugs in the first or second month of pregnancy. A study performed by Boston University and reports from the Centers for Disease Control and Prevention showed that 70-80 percent of pregnant women have reported taking at least one medication. The concern is that 90 percent of medications approved by the U.S. Food & Drug Administration from 1980-2000 had insufficient data to determine if they were safe to take during pregnancy. While many women are being prescribed these medications, studies have not been done to determine if these chemicals will cross the placenta and affect the fetus. From 2010-2012, several studies reported that not only is antidepressant use during pregnancy on the rise, but also that their use has been linked to birth defects. Additional studies have shown that children whose mothers took Zoloft, Prozac and similar antidepressants were twice as likely to be diagnosed with autism or related disorders. If you have a history of medication use, talk to your physician to possibly look at alternative choices, and to dialogue about the risk and benefits of medication use during pregnancy. Avoid the Chemicals: Most women agree that chemicals are unhealthy for them, but there have been links even between many food additives and pregnancy risks. For instance, an American Journal of Clinical Nutrition study published in 2010 concluded that daily intake of artificially sweetened soft drinks may increase the risk of preterm delivery. In addition, when aspartame, commonly known as NutraSweet, is consumed during pregnancy, it may potentially contribute to autism and spina bifida. Another concern is caffeine. Studies have shown that it crosses the placenta and can cause birth defects. Additionally, it can actually reduce fertility or delay conception. But perhaps the greatest concern is that two studies in 2008 showed women who consume 200 mg or more of caffeine daily are twice as likely to miscarry. Since over half of pregnancies are unplanned, it’s wise for all women of childbearing age to reduce their caffeine intake. Just 2 cups of coffee contains almost 200 mg of caffeine. Healthy Eating: What a woman eats is the fuel her body uses to help her fetus develop, so make sure that only the healthiest and most nutritious foods are being consumed. First, eat organic as much as possible. The chemicals and pesticides used on commercially grown foods have not been tested for the effect they may have on the fetus. Genetically modified foods should be avoided as well since they have not been tested. Besides eating organic, eating six small meals a day is ideal, as is drinking at least 8 glasses of water: natural spring, not purified or tap. Add in at least five servings of vegetables, along with healthy fats. The omega fatty acids are critical for fetal development, with omega-3 being especially important for neurodevelopment. Omega-3s are found in seafood, flaxseed oil, nuts, seeds, spinach, broccoli, cauliflower and winter squash. Omega-6s are in flaxseed and grapeseed oil, pumpkin and sunflower seeds, and pine and pistachio nuts. Omega-9s are readily available in olive oil, avocados, almonds and most other varieties of nuts. It’s important to try to consume some of each of these fatty acids each day. Exercise and Yoga: It’s been shown that women who are not physically active prior to conceiving are unlikely to develop an exercise program after conceiving. Start by walking 15 minutes, out and back each day, five days a week. Then gradually increase by 5 minutes until your patient is walking an hour a day. Walking has been proven to be beneficial for each trimester of pregnancy. A regiment of yoga has also been shown to be helpful for pregnancy-related muscular pain, helping strengthen those muscles used in birthing and decreasing stress hormones. Chiropractic Care: Along with following the above advice, a regular regimen of chiropractic care can not only assist with a biomechanical advantage, but also influence hormonal and immune well-being during pregnancy. Talk to your doctor of chiropractic for more information about the best ways to ensure you – and your future child – are as healthy as possible. How many times a week do you eat fish? Unfortunately, we do not eat enough fish in my house. One study found that modest fish consumption (1-2 serving per week) reduced the risk of fatal heart attacks by 36%. Fish oil supplementation is an easy way to get some of the health benefits associated with regular fish consumption. DHA and EPA are the omega-3 fatty acids in the spotlight when it comes to health benefits. One of the central benefits of omega-3’s is that they support healthy inflammatory responses. Arthritis, diabetes, cancer and cardiovascular disease are some of the common diseases associated with chronic inflammation. Many people are looking for additional ways to avoid illness and increase wellness. Unfortunately, our world is a bit more complicated now. Our oceans and waterways are more contaminated than they were 100 years ago. Eating fish can be a significant source of dietary heavy metals and persistent organic pollutants (POPs). When it comes to fish oil, it would be unwise to make your selection solely on which one is cheapest and the least fishy. Contamination of fish oil supplements has been in and out of the news over the past decade. You want to be sure to purchase your fish oil from companies that carefully remove toxins without leaving behind harmful solvents and residues. Another important consideration when selecting a fish oil supplement is dosage. You wouldn’t take a sip of water and expect all the benefits that come with being well hydrated. There is significant variation in the amount of milligrams of EPA and DHA that you find in stores. A good rule to follow when seeking the benefits of fish oil is to make sure there are 1,000 milligrams combined of EPA and DHA per serving. Don’t be fooled! There are many products that advertise 1,000 mg on the front of the bottle but when you read the label you will find that it has only 100 milligrams of EPA and DHA. When it comes to fish oil, you really are getting what you pay for. Be sure to read labels and purchase products free of contaminants. 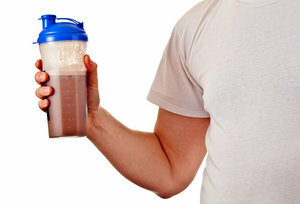 Protein and Weight Loss: What’s the Connection? Sleep is essential for your body to heal…so what happens if you can’t fall asleep or you have trouble maintaining sleep? When that happens, it can be extremely frustrating because for most of us, how we perform or feel the next day, depends on how well we’ve slept the night before. I know that I personally am not at my best if I don’t get a good night of sleep. So, what are the concerns in regards to insomnia? Why is poor quality of sleep such a health problem? For starters, sleep is the time when our cells and organs can repair and heal itself. So if you do not get a good night of sleep, the concern is that over time, the body is never given adequate restoration or healing time. Also, many illnesses can lead to sleep issues so if you are having new insomnia issues, you may want to be checked for diseases such as, but are not limited to, autoimmune diseases, thyroid diseases, adrenal fatigue, dementia, depression, anxiety. Therefore, when you are having trouble sleeping, it may be an indication that your health isn’t at its optimal state. If you are indeed having new insomnia issues, you should definitely ask your doctor for a physical exam and lab tests for evaluation of your health status. So, what can you use for insomnia without being worried about creating a dependency to medications or supplements for insomnia? Theanine is an amino acid that helps to calm anxiety and promote relaxation and rest. It is mild and can be used for those who find that they can’t shut off their mind when trying to go to sleep. You would take 100-200mg about 10 minutes before bed. Magnesium is great at calming anxiety and for helping with quality of sleep as well. If you want to take it, have your doctor check your magnesium level and make sure you are safe to take it and ask your doctor at what dosage you should take it based on your labs. Magnesium is also necessary for muscle activity and will help those with leg cramps or muscle tightness and spasms if you are seen in your labs to be deficient. It tends to loosen your stool so it will help with constipation as well, but be wary of using this if you have a tendency towards loose stools or diarrhea already. Those with kidney disease may not be able to clear this as well, so make sure to check with your doctor before using this. 5-HTP or L-tryptophan has the added benefit of helping your mood and helps to put you to sleep. If you have low mood and insomnia, this potentially would be a good option for you. I generally recommend about 100-200mg of 5-HTP per night or 500mg of L-tryptophan per night for the average person with average weight and health. If you are on any anti-depressant drugs or any drugs that already have serotonin effects, you should not be using this and should clear it with your doctor first before trying it. Although these options tend to have the most benefit with the least amount of problems and grogginess in the mornings, there are still a potential for interactions if you are on other supplements and medications so please clear any new supplements by your doctor first. I know that most of you with insomnia probably have already looked into supplement options so probably know about other options like valerian root, lemon balm, melatonin, kava kava, and passionflower, just to name a few other options. But in my experience, these tend to cause more drowsiness in the morning and potentially have more side effects if you have environmental allergies to various plants. Having said that, these are still viable options for those with very severe insomnia and need stronger agents to get to sleep. Either you use these herbs or the options I mentioned above, you should always clear your supplements with your doctor to make sure you are being safe…and most importantly, practice good sleep hygiene and avoid caffeine, turn down the lights a few hours before bed to get your body more relaxed and increase your own melatonin and don’t do activating activities like work or watch stressful shows before bed. Ultimately, good sleep hygiene is the most effective and safest way of helping your own body enter naturally into the restful stages of sleep you so desperately crave. If you are looking to lower your blood pressure, yoga might be the answer. A new study has found that yoga has countless benefits for people who have high blood pressure. The study was presented at the annual meeting of the American Society of Hypertension recently. By simply practicing yoga, people with mild to moderate hypertension could decrease their blood pressure, according to the research presented. The study included 120 people with an average age of 50, 58 of whom completed the study. All the study participants were organized into one of three groups: One was assigned to do yoga two or three times a week in a studio for 24 weeks, while another group was assigned to do a walking/nutrition/weight counseling program. The third group was assigned to do both yoga and dietary counseling. Researchers analyzed their blood pressure at the beginning of the study, 12 weeks into the study, and 24 weeks into the study. They found that the people who did yoga had decreases in their systolic blood pressure at the 12-week mark, and decreases in both systolic and diastolic blood pressure at the 24-week mark. However, the researchers noted that the other two groups also experienced positive effects on their blood pressure. Yoga has also been proven to be effective for other medical issues such as stress and anxiety. If you are looking for a natural way of reducing your blood pressure, take up a yoga class – you might be able to see benefits right away.